Renewal, Aleph, Abrahamic, Ecumenical, interpretive translation, 21st century C.E., 58th century A.M.
Jews use the Kaddish to mourn the dead, though it has in it only one word — “nechamata,” consolations – which hints at mourning. And this word itself is used in a puzzling way, once we look at it with care. As we will see below, it may be especially appropriate in time of war. The interpretive English translation below may also be appropriate for prayers of mourning and hope in wartime by other spiritual and religious communities. In this version, changes in the traditional last line of the Hebrew text specifically include not only peace for the people Israel (as in the traditional version) but also for the children of Abraham and Hagar through Ishmael (Arabs and Muslims) and for all the life-forms who dwell upon this planet. The interpretive English addresses the meaning of the Name God is given in most of the Kaddish — “shmei rabbah,” the “Great Name.” It is understood as that Name which includes all the names of all beings in the universe and which is also present within all beings. The English also suggests why in the midst of saying we cannot praise, celebrate, or sing to God enough to meet the Reality, we also say we cannot CONSOLE (nechamata) God enough. Why we need to praise God and why we cannot give sufficient praise are clear enough; but why do we need to console God, and why can we not give God consolation enough? We suggest that for the killing of one human, bearing the Image of God, by another –- for this, God is inconsolable. The Kaddish prays first with concern for the peaceful life of the Jewish “family,” the people Israel, and then in this version expands that concern to include our cousins the children of Abraham through Ishmael and all who dwell upon the earth. 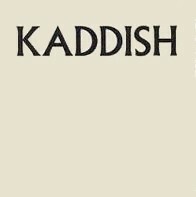 This Kaddish was developed by The Shalom Center and Rabbi Arthur Waskow.The liturgical Hebrew of the Kaddish to accompany Rabbi Waskow’s transliterations and interpretive translation was added by Aharon Varady for the Open Siddur Project. All errors are his own. Shgiyot mi yavin, Ministarot Nakeni שְׁגִיאוֹת מִי־יָבִין; מִנִּסְתָּרוֹת נַקֵּנִי “Who can know all one’s flaws? From hidden errors, correct me” (Psalm 19: 13). May the names of all who have died in violence and war be kept alight in our sight and in the Great Name, with sorrow that we were not yet able to shape a world in which they would have lived. 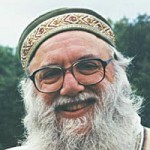 Y’hei sh’mei rabbah me’vorach l’olam almei almaya. may Its radiance be praised in all Its Holiness –— Blessed be! who bear Your Image in our being. Yehei Shlama Rabah min Shemaya v’chayyim aleinu v’al kol Yisrael, v’imru Amein. Oseh Shalom bi’m’romav, hu ya’aseh shalom aleinu v’al kol yisrael v’al kol yishmael v’al kol yoshvei tevel — v’imru: Amein. and for all who dwell upon this planet. 1. The liturgical Hebrew of the Kaddish to accompany Rabbi Waskow’s transliterations and interpretive translation was added by Aharon Varady for the Open Siddur Project. All errors are his own. Shgiyot mi yavin, Ministarot Nakeni שְׁגִיאוֹת מִי־יָבִין; מִנִּסְתָּרוֹת נַקֵּנִי “Who can know all one’s flaws? From hidden errors, correct me” (Psalm 19: 13). “קדיש יתום בזמן מלחמה | Mourner’s Kaddish in Times of War and Violence, by Arthur Waskow” is shared by Arthur Waskow with a Creative Commons Attribution-ShareAlike 4.0 International copyleft license.